Even two decades after the IRA ceasefire, it is a crime from the bloodiest year of the Troubles that continues to haunt senior Irish republicans including Gerry Adams and could yet have fresh ramifications for the peace process. In a sensational development inside a Belfast court it was alleged that a former IRA negotiator with the British government named fellow republicans involved in the kidnap, killing and secret burial of Jean McConville – one of the most notorious murders of the conflict. 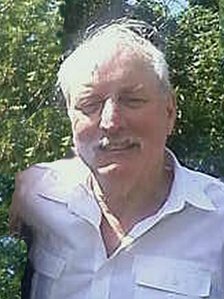 The ex-IRA commander Ivor Bell appeared in Laganside court on Saturday morning where he faced charges of aiding and abetting in the shooting and disappearance of the mother of 10 in 1972. The children and grandchildren of the murdered widow were in court to hear a detective allege that Bell was "Mr Z" on a tape recorded for Boston College in the US as part of the Belfast Project, a series of interviews with former IRA and loyalist paramilitaries. Speaking outside the court, McConville's daughter Helen McKendry told The Observer that she hoped the case would lead to others going on trial for her mother's killing by the IRA. "I hope this goes all the way up to the top," she said, "All the way up to Gerry Adams. There are more people who need to be in this court to answer what happened to my mother." The McConville family, along with the former IRA Belfast commanding officer Brendan Hughes, have alleged that Adams created a secret unit to hunt down and kill informers in the city during the early part of the Troubles. 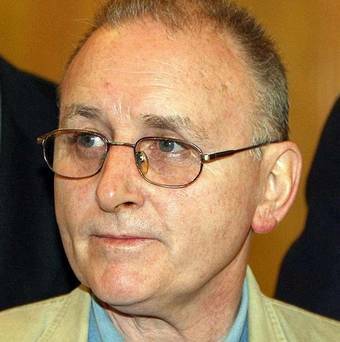 Before his death Hughes claimed that Adams gave the order for McConville to be abducted from her home in Divis Flats in west Belfast, taken across the Irish border, killed and buried in secret. The Sinn Féin president has always denied any involvement in the McConville murder or that he was ever in the IRA. It was alleged in court that in the recording, Bell implicates himself and other top republicans in the McConville case. But his defence solicitor, Peter Corrigan, denied Bell had any involvement in the crime and said "the evidence was not credible". The recording for the Belfast Project, which the Police Service of Northern Ireland obtained through the US courts, is the centrepiece of the crown's case against Bell. His solicitor said Bell denied any involvement in the IRA murder of McConville. Appealing for bail for his client, Corrigan stressed that Bell has not been a member of the Provisional IRA since 1985 and had no network around him to aid him to flee Northern Ireland. He told the judge that they would accept "any conditions that you see fit to impose on this defendant". However, there was light applause from the McConville family in court when the judge, Fiona Bagnall, refused bail. McConville was the most famous of the "Disappeared" – 16 people whom the IRA accused of being informers and who were shot and buried secretly across Ireland. The IRA only admitted her murder in 1993 and her body was not discovered until 2003 on a beach in County Louth. No one until today has ever been charged in connection with her murder. The IRA accused her of passing information to the British army but her family always denied this, claiming she was singled out because she had tended to a wounded soldier outside her flat. An investigation by the Northern Ireland police ombudsman rejected the allegation she was an informer. 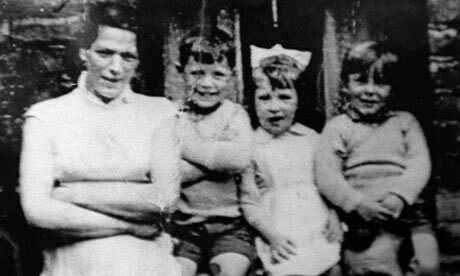 Bell was a senior IRA officer at the time McConville was seized by armed men and women, and torn away from her children in December 1972. Six months earlier Bell was part of an IRA delegation that secretly met Willie Whitelaw and several British government officials at the late MP Paul Channon's flat in London. Bell, allegedly alongside Gerry Adams and Martin McGuinness, the future deputy first minister of Northern Ireland, met Whitelaw and his team to discuss a ceasefire. However, the truce later broke down amid ongoing violence in Belfast. 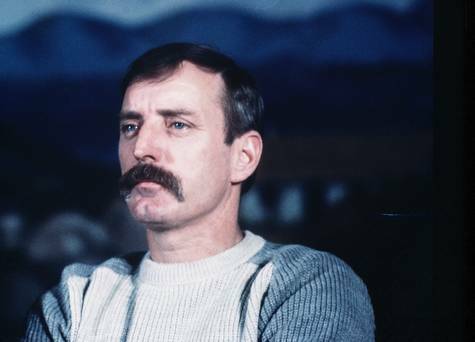 Bell was later expelled from the IRA for plotting a coup d'etat against its leadership in the mid-1980s and warned he would be "executed" if he set up a rival republican organisation. The full trial against the veteran republican will begin on 11 April. This page was loaded Apr 22nd 2019, 10:53 pm GMT.